With EmbedPress, you can easily embed Scribd Document to WordPress, using just a URL. 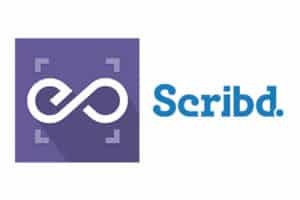 Scribd is a digital library and world’s most popular platform for sharing and publishing all kinds of documents .It aims to offer easy access to information, to spread innovative ideas and to change the way people read. EmbedPress is a reliable and valuable plugin. With the help of EmbedPress, it is very simple to embed Scribd document in WordPress, you don’t need to mess around with embed codes. All you need is the URL of the document that you have selected to embed on your site. 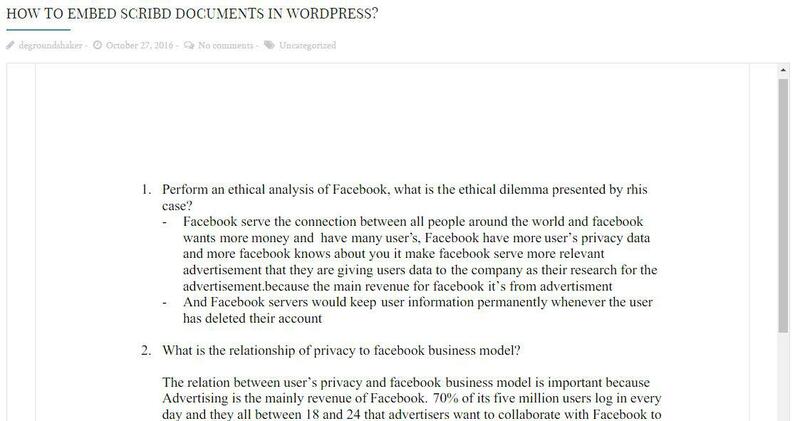 Here are the steps to embed any Scribd document into your WordPress site, using the EmbedPress plugin and a URL. Before you can embed the document into WordPress, you need to get the URL of it. Sign in with your Scribd Account. Choose the document you want to embed. Now you have the URL, you can use it to embed the document in WordPress. Copy the URL of the document into the content area, with the “Visual” tab enabled. The URL will be automatically converted into an embed of your Scribd document. The Scribd Embed will be responsive, you can download, share the document or also can go to full screen mode for better view. You can also scroll down to see the whole document with the help of scrollbar on the right hand side of the embed.